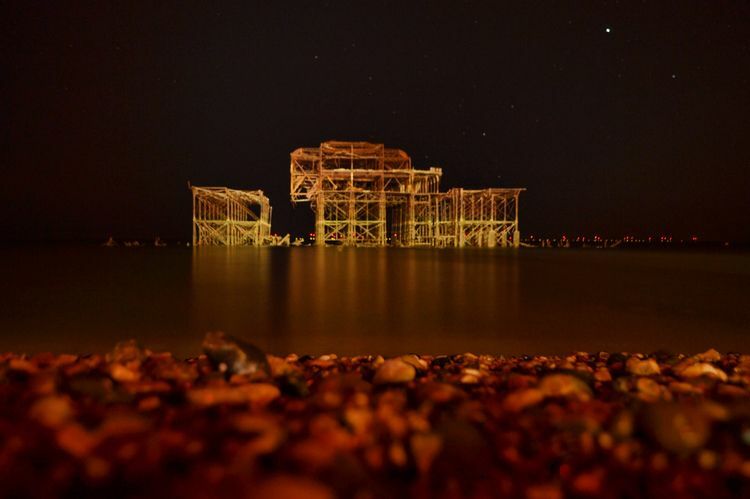 West Pier ruins light up at night. 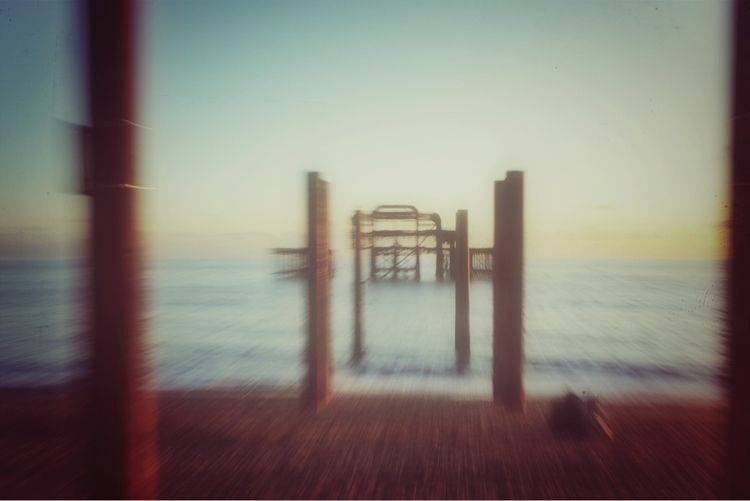 The beach was empty and saw the pier ruins light up by the city light. 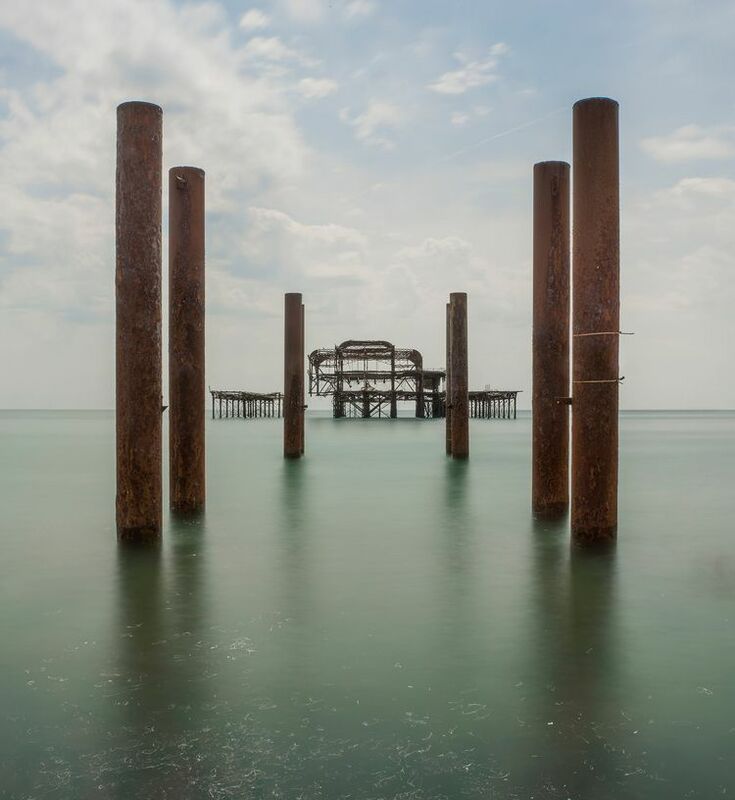 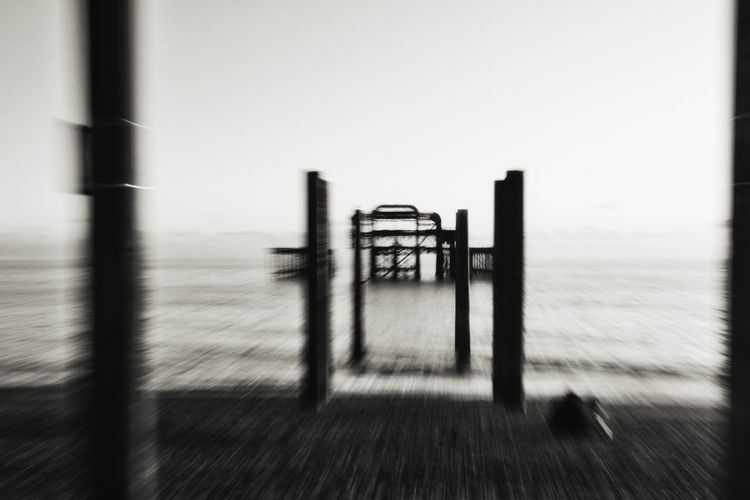 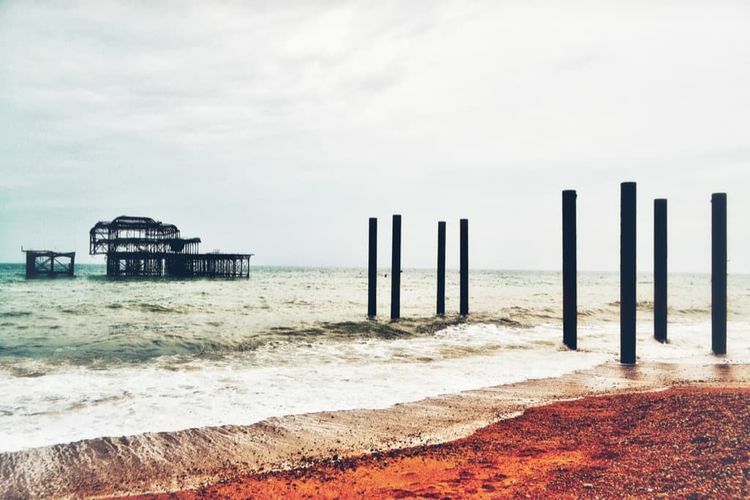 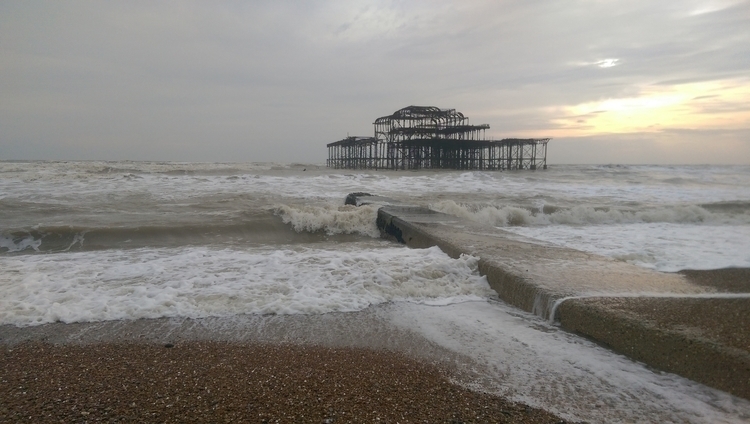 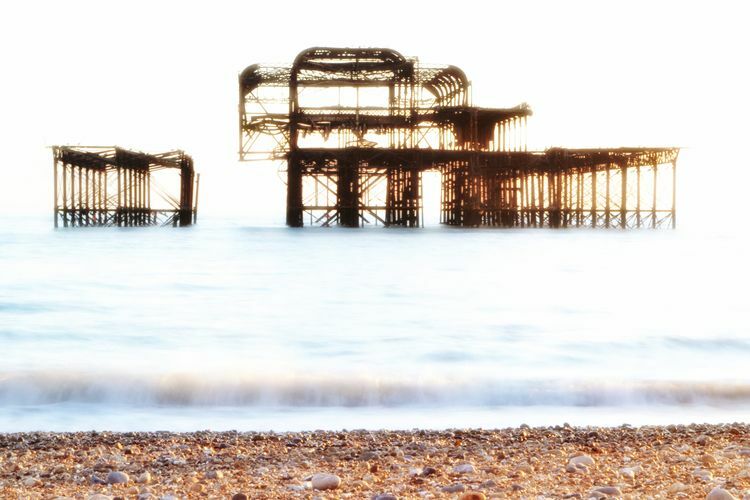 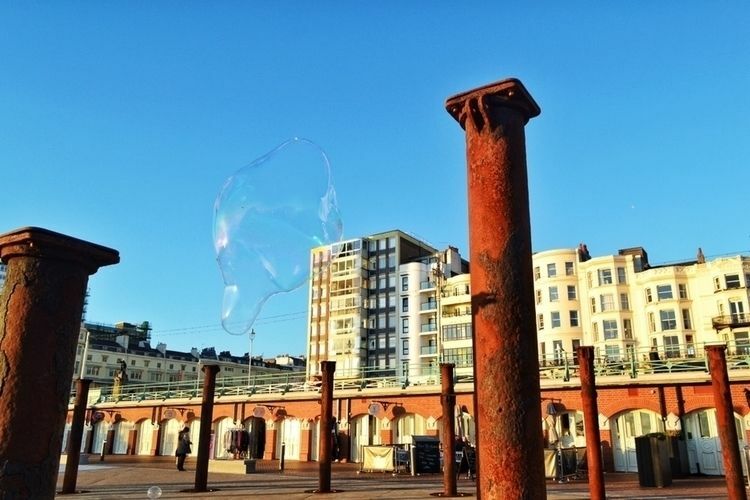 Brightons Ruined West Pier, taken Early April 2018.